Destination DC, the organization charged with marketing the District of Columbia as a global convention, tourism and special events destination, invests time and money into its annual advertising campaigns. Instrumental to the organization’s marketing plan and strategy, the 2013 Spring and Summer advertising campaigns consisted of media placement in magazines, newspapers, radio, online, as well as a consumer pop-up event in New York, and was additionally supported by an extensive public relations outreach media. 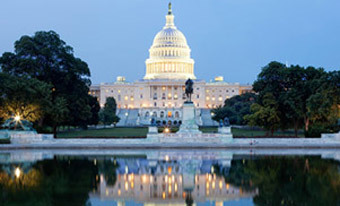 With a multi-million dollar advertising spend in 2013, Destination DC wished to evaluate the results of its 2013 Spring and Summer advertising campaigns in order to develop estimates of the campaign’s return on investment and measure the campaign’s effectiveness in influencing potential visitors to take a trip to Washington DC. To measure the reach and impact of its advertising campaign, Destination DC selected Destination Analysts to conduct an advertising effectiveness study. The study consisted of an online survey to a large representative sample of residents in the Eastern United States and parts of Canada, including residents in the metropolitan areas targeted by the ad campaign. The online survey methodology allowed for Destination Analysts to present the advertising creative to these residents. As it is ideal to survey those exposed to the advertising and incremental visitors soon after the campaign concluded, an online survey methodology additionally led to a quick and timely collection of survey sample. The online survey looked into a variety of topics, such as questions related to recall of the advertisements, visits to Washington DC and detailed trip spending in Washington DC during these visits. The successful results from Destination DC’s advertising effectiveness study permitted the organization to determine the reach of the campaign, measure the incremental visits generated by the campaign and the direct visitor spending created as a result of these visits, including tax revenues generated, and utilize the data to drive future campaign strategy. The survey results also gathered data on brand messaging, media consumption and an analysis of respondents likely to be affected by the advertising versus those who are not likely to be affected. Particularly with the estimates of return on investment and incremental taxes generated, Destination DC was able to navigate the challenges of local politics, as well as demonstrate the value of Destination DC and its marketing and advertising efforts to the Washington DC community. The research that we get from Destination Analysts allows us to show the true value of the marketing efforts that we do to both our board, internal stakeholders, and people from the City and our contracting governing body, just to make it clear exactly what the impact is of the work that we do everyday.